The addition of a fire or water feature is the perfect accent to your outdoor living area. With superior craftsmanship and long-lasting durability, uniquely fashioned fire and water elements can refashion the ordinary into something exceptional. Water features provide an array of benefits to any backyard project. From small fountains, to multi-teared stacked stone waterfalls, the soothing sound of water adds dimension to any project. Integrated with lighting, water features can provide stunning visual effects, day or night.  The team at DreamCrete Custom Creations understands no two projects are alike, and with their vast experience, your sure to get an outdoor living space you'll be thrilled with for years to come.